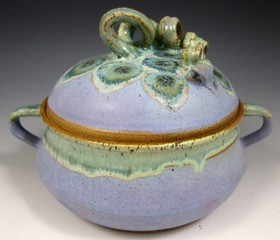 The pottery I make is the pottery I like to live with and use – colorful functional ware that will be cooked in, served from, eaten in, held. I set my table with a variety of vibrant pieces, store my leftovers in multi-glazed casseroles. (Tupperware – bah! 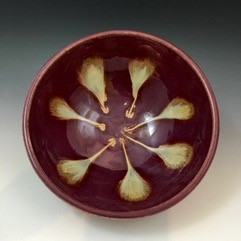 ), ripen pears on the counter in cheery bowls …. you get the picture. 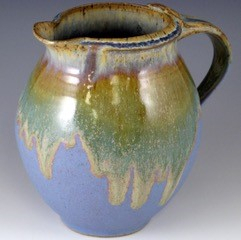 I don’t think of myself as an artist but I do love the creative process of forming something composed of both the earth’s elements and the potter’s “chi.” I like shapes that invite caressing, surfaces that ask to be touched, playfulness that comes from incising and carving, and the occasional frou-frou. 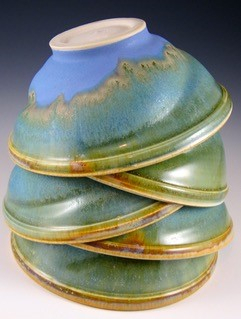 I make my own glazes and enjoy the serendipity of discovering how they interact. All pieces are safe for food, microwave, dishwasher, and oven. 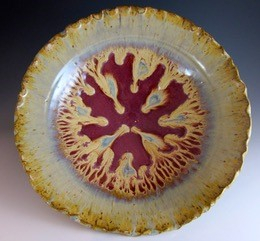 A wise woman recommended finding work in retirement that constantly challenged and offered indicia of improvement; notably she didn’t say “success.” At this point in my life I am constantly challenged, inspired, excited, animated, and not infrequently, frustrated by clay. Which, I suppose, was her point. 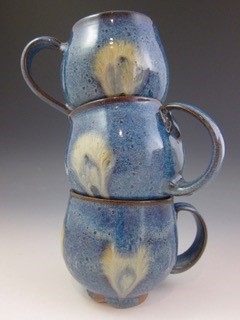 My work is available at the Potters’ Guild shows and my home studio in Short Hills.